Eating healthy is a habit and that's why our meals plans start with minimum order of 10 meals to help you follow that habit. My family opts for Calorie Care meals whenever the cook goes on long leave. We like the High Protein, Keto and International meals as they cater to our varying food preferences. The variety of breakfast served is also to our liking. We look forward to the snack of cut fruits every day. The fresh hygienically packed meals are delivered on time. We are very satisfied with the healthy and tasty meals. We often recommend Calorie Care to our friends and have been their customers almost since its inception. The Hangyo vegan ice cream was amazing, and also low in calories. Love the fact that you’ve kept vegan options. 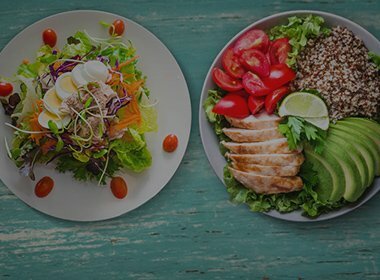 Since past two months I have been ordering all my meals from CC.My goal was to loose weight along with muscle gain hence I went ahead with Calorie Care as all the meals come with its calorie and nutritional value, which is impossible to do at home. Secondly the additional benefits are, the brilliant variety of menus and options which makes the food interesting and different, as I require a day to day change so its perfect for a person like me. At the moment I switch between South Indian or Regional Indian in breakfast, Indian or International in Lunch & Tandoori Platter or Soup/Salad/ Sandwich in Dinner. Calorie Care has helped me tremendously in achieving my goal. The meals are fresh, ingredients are hygienic, taste is really good and packaging is brilliant.Therefore I thank and wish Team Calorie Care all the best. I would be continuing by meals with them for a long time ahead and recommend their services to others for sure and give them a Five Star Rating in all departments. Calorie Care is one of the topmost health food providers in Mumbai. Add to it their great customization options and customer support; they are the best guys in the industry. I am a fitness freak and currently working for a ripped body for which I take about 1350 cals Keto diet. Chicken breast supplied to me is of highest quality along with freshest broccoli. More importantly, it’s made to order as per my requirement. And that too perfected post a simple phone call to you. Prior to this, my multiple customization requests for chicken salad were met with smiling face without any objection ever. My wife always objects to my constant nagging for detailing but you guys have met my requirements perfectly. I am a customer for life. Post my mother’s double bypass surgery in 2014, I had to monitor her diet very carefully. Although we had the cook, but there was no control on the oil usage or low fat ingredients. This is when I heard about Calorie Care from a friend and started with Low Calorie meals for her and since then there’s no looking back. Since we are total foodies in the family it was extremely difficult for my mom to eat boiled foods every day. Fortunately, she loves the versatility of the Calorie Care menu and enjoys their meals. As the meals are well-portioned and calorie counted, her weight is in check. At 82 years, she has lost about 8 kilos and feels very happy and motivated to carry on with Calorie Care. Also if I may add the service is excellent. The delivery staff is extremely courteous and the deliveries are made in a timely fashion. As an entrepreneur and a mother, I realise that the best way to take care of my family is to take care of my health. Stress, long commute and a busy lifestyle meant irregular and often unhealthy food at odd hours. Even though I exercise regularly, that’s not enough. Therefore, I switched to Calorie Care. I’ve been a customer for more than 5 years now and have experimented with the soup and salad option as well as low calorie Indian veg meal. The food is tasty and offers variety so its not boring. Over the years, I’ve recommended Calorie Care to a number of people and will happily do so in future. Keep rocking! I chose to go for Calorie Care because I wanted balanced diet meals in order to lead a healthy lifestyle. It’s been 9 years since I have been ordering meals from them and I am completely satisfied with it. I eat low calorie meals and it has really worked its effects on my health. I didn’t see a reason to quit or switch because their food is fresh, they have good variety to choose from, and meals taste quite good and are definitely very hygienic and healthy. I have Low Calorie meals from Calorie Care because their food is healthy, hygienic and certainly quite tasty. The meals are well-cooked and are delivered in spill-proof packs. The meals are fresh and I feel great eating healthy meals every day. It’s been one and half years since I have been taking their meals I am very satisfied with their service. Since I have felt its effects, I have recommended Calorie Care meals to my wife and daughter as well. I have been taking Calorie Care meals since 2009 and I am proud to be associated it with. They deliver their promise of delivering calorie counted meals. I have managed to remain slim and maintain good health and I would attribute some credit for this to the Calorie Care meals. It’s not just about having healthy hygienic meals but the convenience of choosing my meals and it getting delivered right at my doorstep. The menu for the week is circulated a week in advance and hence I can choose my meal for the next week from several options that are available. I get the liberty of choosing my meals and thereby enjoy a healthy meal. I take lunch regularly and I have got some of my friends and family members also converted to eating healthy meals from Calorie Care. I have had the occasion in the past of taking my breakfast as well from Calorie Care and was impressed by the fact that the delivery boy would drop the breakfast without fail by 6.30 am at Bandra every day. I have tried their office party catering on one occasion and was happy with the same. 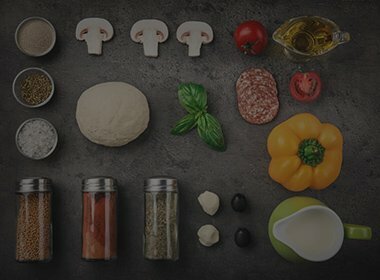 For the longest time, I was searching for a good meal delivery service and I happened to come across Calorie Care. Being very particular about what I eat and where the food comes from I decided to try their meals. Since then I have been their loyal customer never to have felt the need to go anywhere else for my daily meals. I have tried most of their meal options depending upon the diet plan I follow and they have always managed to go beyond my expectations. Currently I am ordering Indian high calorie non-veg meal for lunch and it gives me most of the food groups recommended for a healthy diet in a balanced and delicious way. It allows me to pick and choose the meal options depending upon my workout intensity and lifestyle. This is a one stop catering establishment that is a combination of balanced diet, professional service and hassle free delivery. I would highly recommend this to anyone looking out for healthy meals as part of their daily routine.